Custom printed glow in the dark sunglasses – yellow will drag your brand logo to the party and allow it to enjoy bright spotlight. These sunglasses possess clear lens and easy –to-see-through hinges. The plastic design is reliable and it will make your brand logo remain visible for long time. These glow in the dark sunglasses make great giveaways for company parties, wedding celebrations, pre-wedding bashes, school dances and more. It doesn’t matter whether you are going to offer these sunglasses as an individual gift or as a combo compliment in return favor tote bag, your customers will love it. 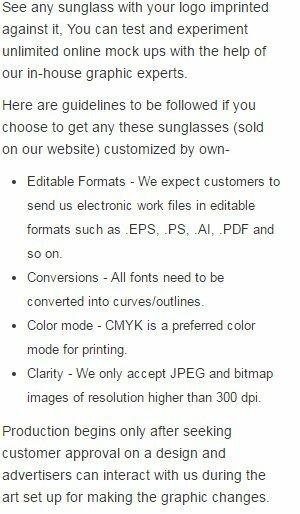 Request a quote to know price cuts that you can avail for wholesale promotional glow in the dark sunglasses – yellow.